There’s no denying the benefits of a plant-based diet, though research shows you don’t have to be fully vegetarian or vegan to reap the benefits. This webinar will provide RDNs with strategies for bridging plant-forward eating and family meals; highlighting simple ways for patients and clients to add more plants to favorite recipes along with innovative ways to increase plant-based eating for all ages. List three trends relating to plant-based eating. Identify five specific health benefits that have been shown to be associated with plant-based diets. Discuss six ways to add more plant-based foods to family meals. Develop strategies to assist clients in eating more plant-based foods. Alexandra Caspero MA, RD, CLT, RYT, is owner of Delish Knowledge and author of Fresh Italian Cooking for the New Generation. As a consultant and media spokesperson, she works with companies to develop nutrition communication strategies, food photography, videography and recipes. 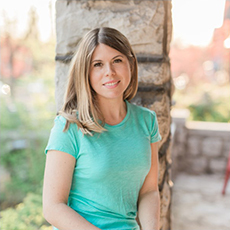 Her award-winning blog, Delish Knowledge, focuses on making whole-food, vegetarian eating deliciously simple. Alex is the co-founder of Plant-Based Juniors, an evidence-based platform that helps parents navigate the world of plant-based prenatal and pediatric nutrition. Additionally, she is the co-author of Joyful Eating, Nourished Life, which helps others discover a happier, healthier relationship with food and their body. Simple Mills enriches lives and bodies through simple, delicious, real foods. We strive to make healthful choices easy by offering food that tastes great in the moment and nourishes your body for the long-term. We believe if you don’t recognize an ingredient, your body won’t either, so we handpick ours with purpose — only including things that nourish you. Nothing artificial, ever. Alexandra Caspero, MA, RD, CLT, RYT, reports the following relevant disclosure: she serves as a consultant to Hum Nutrition. She has certified that no conflict of interest exists for this program. View our disclosure policy.